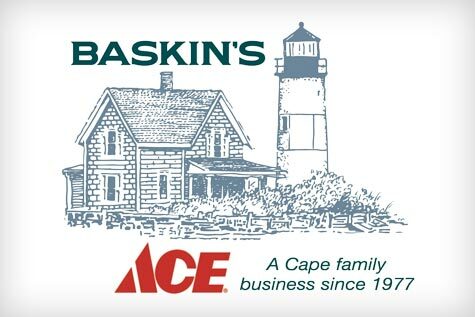 Baskin’s True Value Hardware is now Baskin’s ACE Hardware! Which means we’ll be able to provide you with an even greater selection of quality products, brands and specials than ever before! What hasn’t changed is our ownership, our helpful, experienced staff, and our commitment to providing you with the best customer service and shopping experience possible! By partnering with the strongest wholesaler in the industry, we’ll be able to bring you well-known and trusted brands such as Craftsman tools and Valspar paint. We’re also excited to be able to offer you innovative new products developed by entrepreneurs through ACE’s partnership with The Grommet. As always, we pride ourselves on being able to meet just about every need you may have, and now we’ll be able to fulfill that promise even better by partnering with ACE. If we don’t stock something you need on our shelves, we’re happy to special order it for you and have it delivered to any of our stores in just a few days. During the coming months we will be transforming our stores to incorporate all of this great new merchandise. Please bear with us during the transition – we promise our new product selections will be worth the wait! Thank you for being a loyal customer. We appreciate your business, and are excited to be able to serve you even better in the years ahead!